Kerri-Anne and Mitch met during year 9 at secondary school. They spent the whole summer together before Mitch asked Kerri-Anne out! They were still together when they eventually went away to different universities. In 2016 they finally moved in together and after 10 years of being together Mitch proposed. I was very excited to travel to Wolverhapton for their glam barn wedding! Woohoo! The day started at the bridal suite of The Mill Barns. It was a lovely morning where Kerri-Anne was getting ready with her mum, her best friend and flower girl. 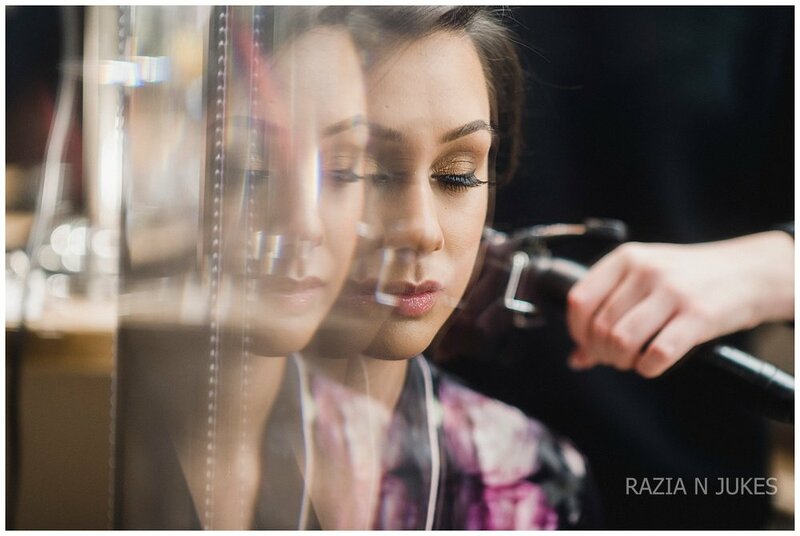 It was so amazing to work with Rebecca Francis who is an incredibly talented make up artist. The glam makeup teamed with the glamorous Hollywood curls by Eleanor Nicholls, Kerri-Anne looked sublime. Mitch was also getting ready at the venue with his two best men and ushers. Kerri-Anne wore a stunning dress by Australian designer Karen Willis Homes. It was A V-neck gown with spaghetti straps and beautiful beading. Finished with a beaded belt. I loved her bouquet by Fine Flowers; it was very striking. Red and pink roses adding a beautiful pop of colour with green springs. Her flower girl wore a beautiful white dress and a her fur was from Monsoon. Mitch looked equally dapper in his suit by Bloom's Menswear in Wolverhampton. He wore a blue suit with a white shirt and black bow. 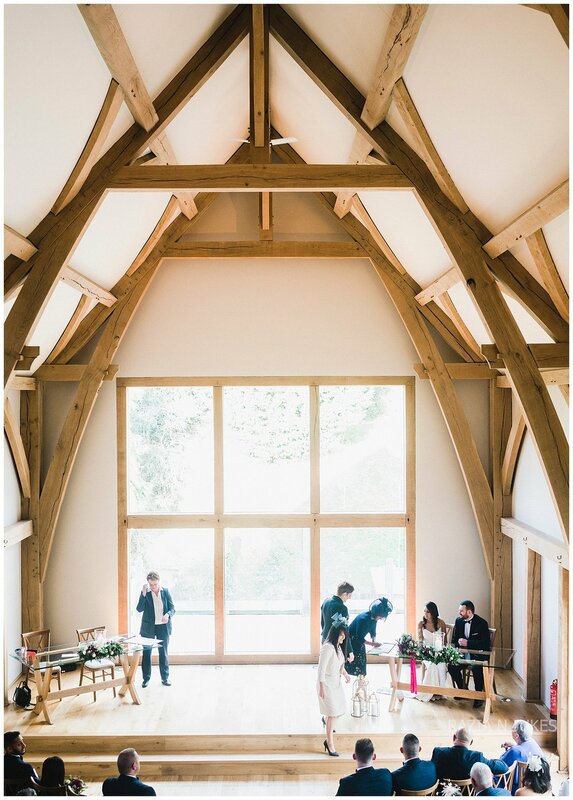 When they chose The Mill Barns as their venue, it was under construction. 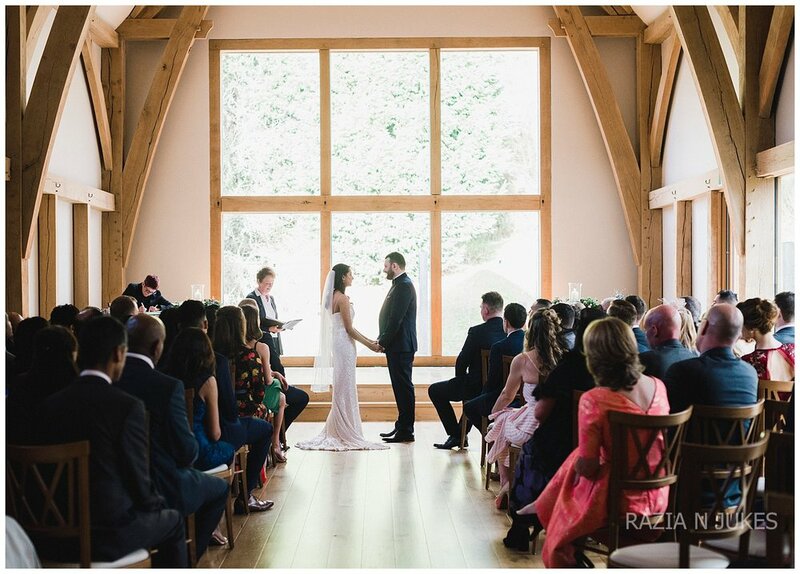 Kerri-Anne told me “but after a lot of searching, we felt this ticked all the boxes: exclusive use, local, no corkage, purpose-built and all indoors: perfect for a Winter wedding. On the day, the venue were absolutely fantastic and really made the day what it was”. 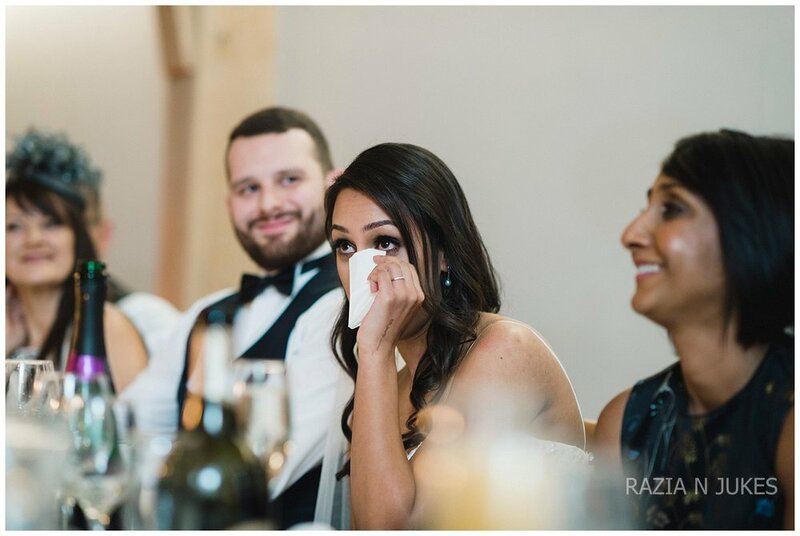 The venue was surrounded by gorgeous countryside, and with the chill of the winter air, the echoes of laughter throughout you couldn’t really ask for anything more! Kerri-Anne continues, “We didn't plan on a Winter Wedding - we just knew we wanted to get married in 2018. However, finding a date was extremely difficult. Between his Police shifts and my school holidays, we were limited to a couple of dates in the year: the Friday 21st December being the best one. However, I'm so glad we ended up having a Winter Wedding, in fact, I can't imagine anything else now. Once that was set, the theme just clicked: we wanted something formal and glam, and that's what we aimed for. Also, being Winter Solstice inspired the use of candles and lanterns”. The tables were set with beautiful red and pink roses and candles. This just added to the wonderful Christmassy festive vibe. I love the warmth and sparkle of winter weddings. Their cake was to die for made by the talented Cakes by Sian. It was a semi naked four tier cake decorated with subtle pink flowers and gold leaf! The evening proceedings flowed beautifully from the speeches to fun on the dance floor and wow there was lots of fun on the dance floor. It was lovely seeing Kerri-Anne’s grandfather strutting his stuff! !